Mystras (Mistras). 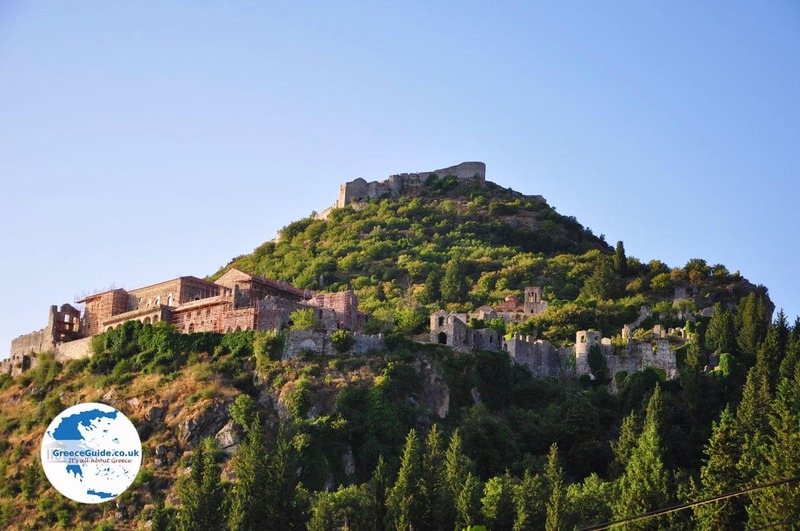 One of the most interesting places on the peninsula of the Peloponnese in Greece is undoubtedly Mystras. 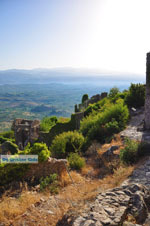 Mystras today is a deserted city, located five kilometres northwest of Sparta, in the prefecture of Lakonia. There was a period in the Middle Ages when no less than 40 000 people lived here. 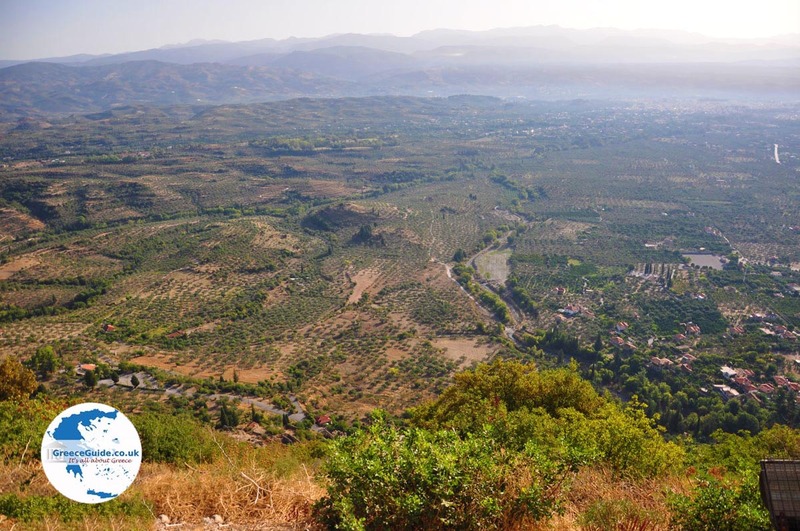 I visited Mystras from Kalamata which lies 60 kilometres west of Mystras. Taking the distance over the mountain Taygetos it took about one and a half hours and the route all throughout was fantastic. Nature is impressive, with high mountains, deep valleys, lush forests and beautiful landscapes. Mystras, the former capital of the Morea, (this is the old name of Peloponnese), is the most important and most representative example of a Byzantine city from the 13th to the 15th century. 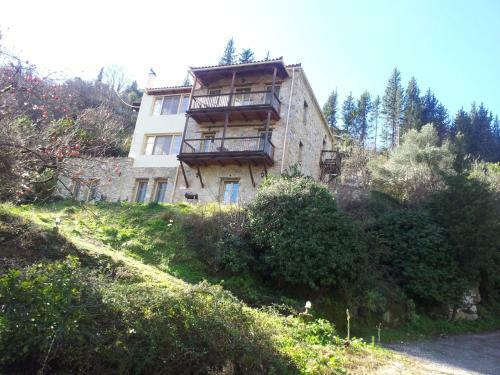 This 'ghost town' is built on the slopes of a steep mountain. One can enter the city from above or from below. 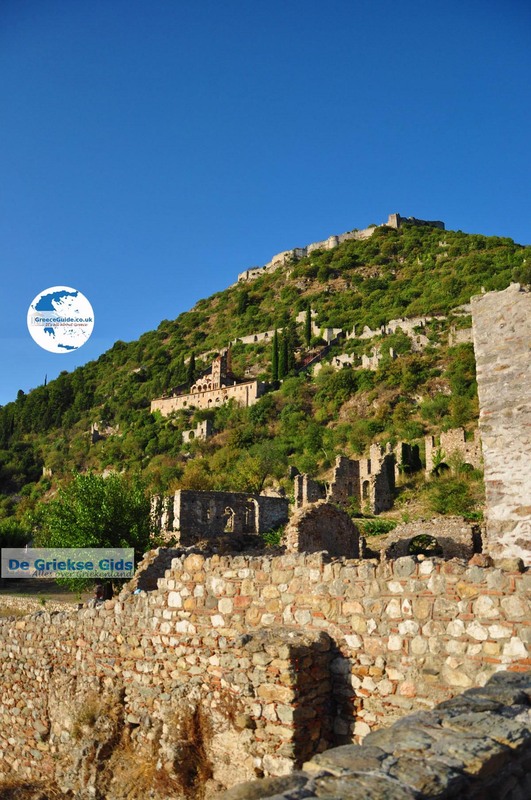 When visiting Mystras, one should definitely wear good shoes, because the town is situated on the slopes of a mountain and a walk through the narrow cobblestone streets, mountain paths and alleys of the town you cannot just do. It is sensible to park first down and explore the lower part. 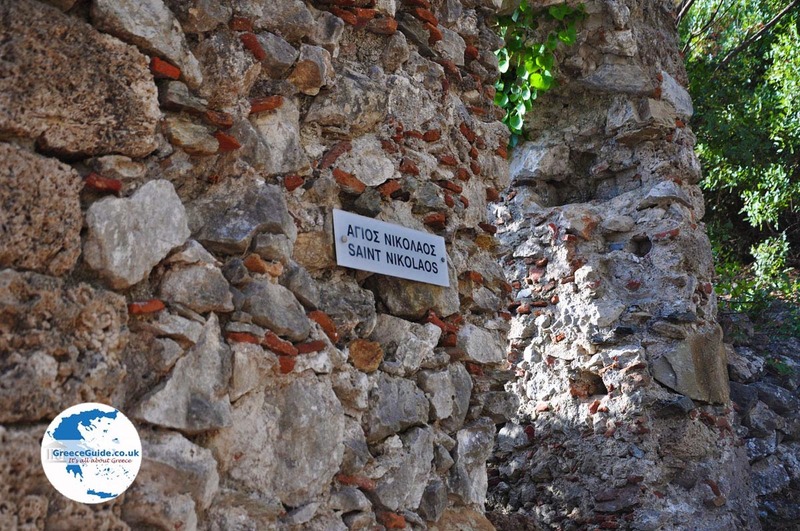 Then park your car at the top and with the same ticket you can explore the castle and the upper part of Mystras. To understand the city, we must go back in time to the year of1249. After the Fourth Crusade and the attacks on the Byzantium, the Peloponnese was occupied by the Franks. 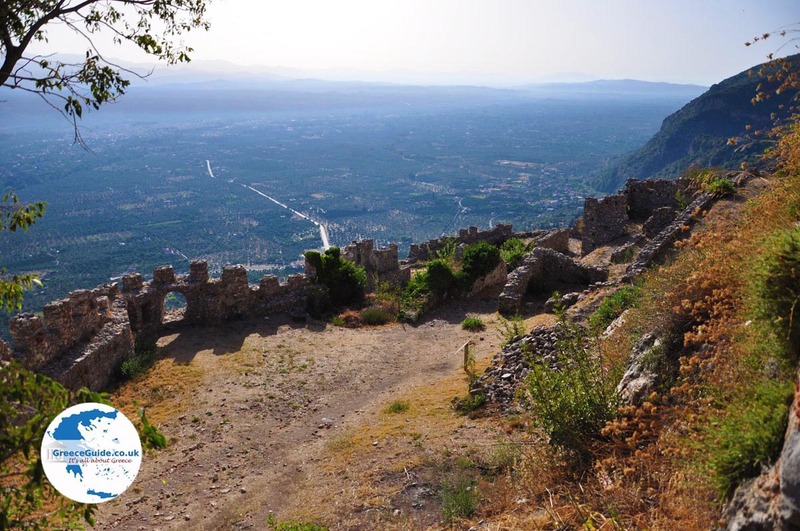 The Frenchman William the 2nd Villehardouin was appointed as boss of Morea and built on top of a mountain at 620 meters a castle, named Mystras or Mizithras. 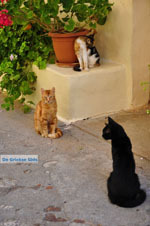 Mizithras in Greek is someone who makes soft Greek cheese. Probably there was a cheese farmer here on the mountain and to him eventually, the city also owes its name. Willem de Villehardouin lived here for ten years as monarch, meanwhile, a lot happened in Constantinople where the Byzantines recaptured Constantinople from the Franks. 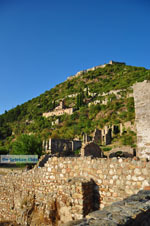 When the Byzantine Emperor Mikhail Paleologos captured William the Villehardouin, he gave the castles of Mystras, Mani and Monemvasia with the Byzantine Emperor to buy themselves free. 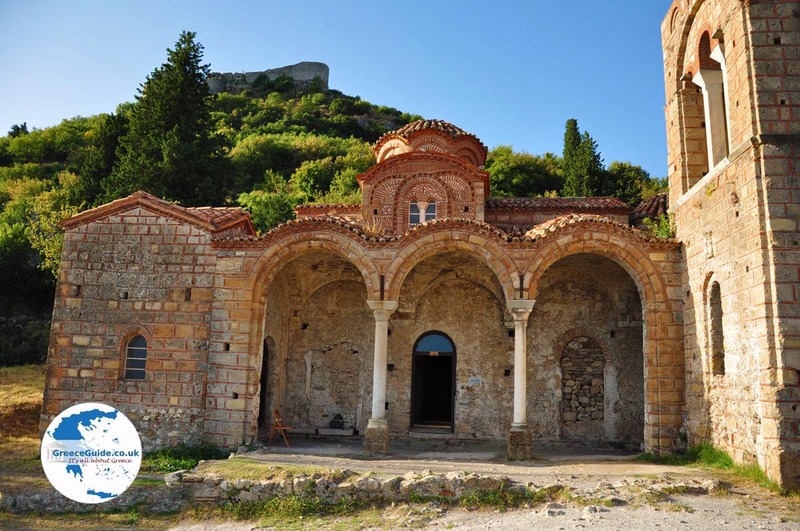 From the year 1262 Mystras became the seat of the Byzantine general who always stayed here for one year until the next General was restored. The city experienced great prosperity, more and more people settled here. They were mainly people from Sparta coming and going. They build houses on the slopes of the mountain. The reason they came here was to look for safe places to live, anyway the times were turbulent. The walls of the city were still displaced and the population grew. The town continued to grow and fixed generals were appointed from the year 1308. Religious sphere Mystras became the main centre, and later even the capital of the Peloponnese. In the year 1348 the Despotate of the Morea was established with its capital Mystras. The Despotate was an independent principality which reigned the Byzantine Despot and was the absolute ruler. The Despot was designated by the Byzantine and was not elected by the people. About two centuries, Mystras experienced enormous wealth. Beautiful buildings, magnificent towers, splendid churches were built and the city had a high artistic and intellectual prestige. The churches were richly decorated with beautiful frescoes and the city was famous for its libraries and the fame of his writers. Here the future princes were educated that would later gain high office in Constantinople. 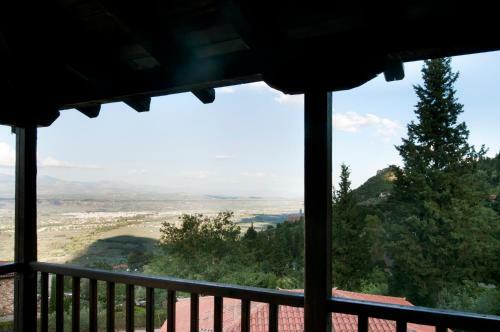 Here Konstantinos Paleologos was born, the last Emperor of Byzantium and it is also Mystras where he was crowned emperor. In the year 1460 Mystras was attacked and occupied by the Ottomans, this event was widely considered equivalent in Europe and the fall of Constantinople in the year 1453. From 1460 to 1540, under Ottoman rule, the city is one of the main centres of the production and trade of silk in the eastern Mediterranean. 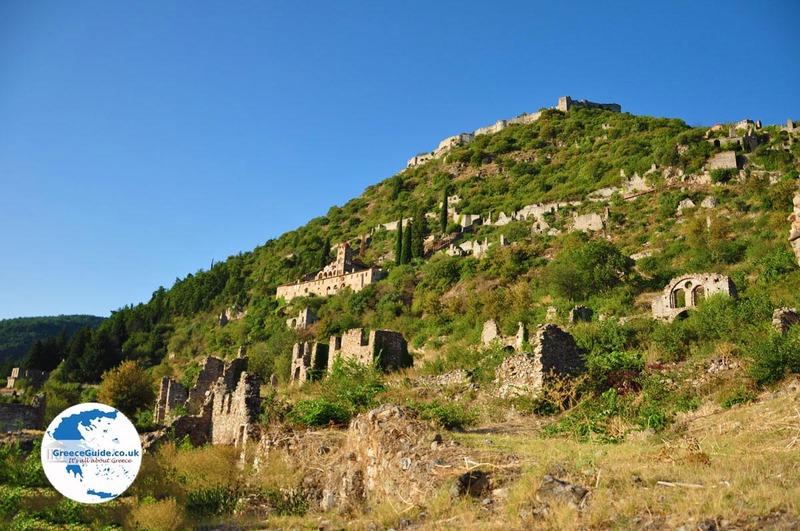 From 1667 to 1715 Mystras was in the hands of the Venetians, it was then recaptured by the Ottomans and in 1770 it was destroyed by Albanian Muslims and left completely abandoned . 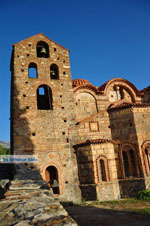 Mystras is a World Heritage Site. There are magnificent buildings, some of these are unfortunately very dilapidated. on the top of the mountain is the Acropolis or rather, the castle, which was originally built by the Franks. The castle is surrounded by double walls reinforced with square or cylindrical towers. The panoramic view from above is impressive. The castle is built above, because it overlooks the plain of Sparta. The view is breath-taking. In the palaces lived the despots and their families, the buildings have been built in different periods. 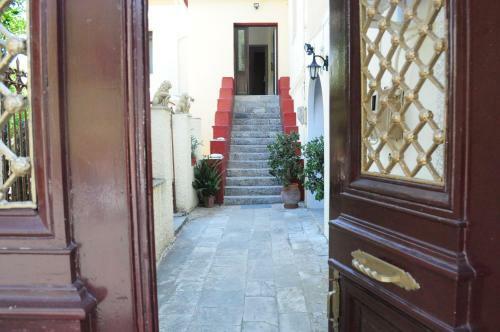 The main buildings are those of the first Despot Emanuel Kantakouzinos. These were at the start of the 2nd half of the 14th century. Those of the Paleologos dynasty in the early 15th century. In the houses surrounding the palaces, probably lived members of the aristocracy of Mystras. 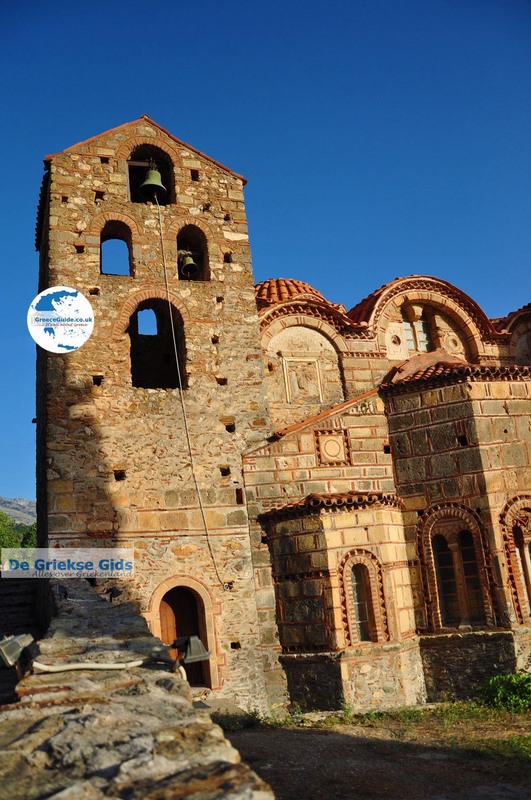 Church of Agios Dimitrios is probably the oldest church in Mystras and was built by the Metropolitan Evgenios around the year 1270. The church was constantly expanded in the centuries that followed with new additions and buildings. Around the church is a wall built in the courtyard and this was the residence of the Metropolitan, today it houses the State Museum of Mystras. The Agia Sofia church stands near the Palaces and was built in the 14th century by the Despot Emanuel Kantakouzinos. Initials of Kantakouzinos are screened at the pillars of the church and in the altar area is a beautiful mural of the "Almighty on the throne" . This church was built in 1296 by the monks Daniel and Pachomios. It is an octagonal church with in the four corners four chapels. 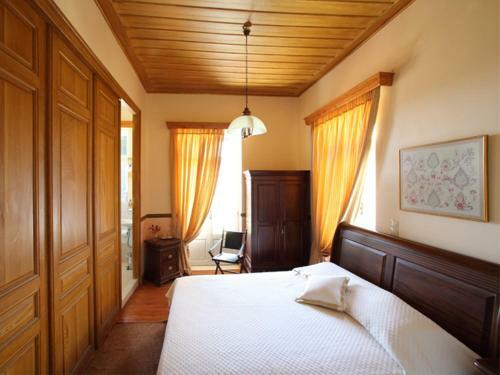 Pantanassa is the last major building which was built during the Byzantine period and is now a nunnery. 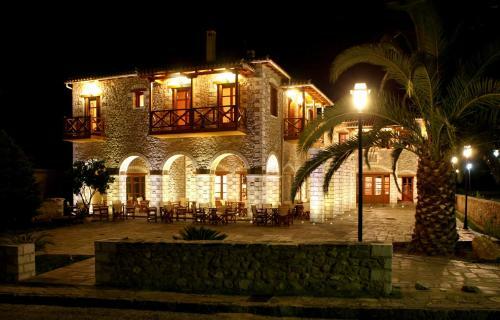 It is the main church of the same monastery, founded by Ioannis Frangopoulos in the year 1428. Here is the grave of Theodora, the wife of Emperor Konstantinos Paleologos. Other important churches are those of Perivleptos, Evangelistria and Odigitria. 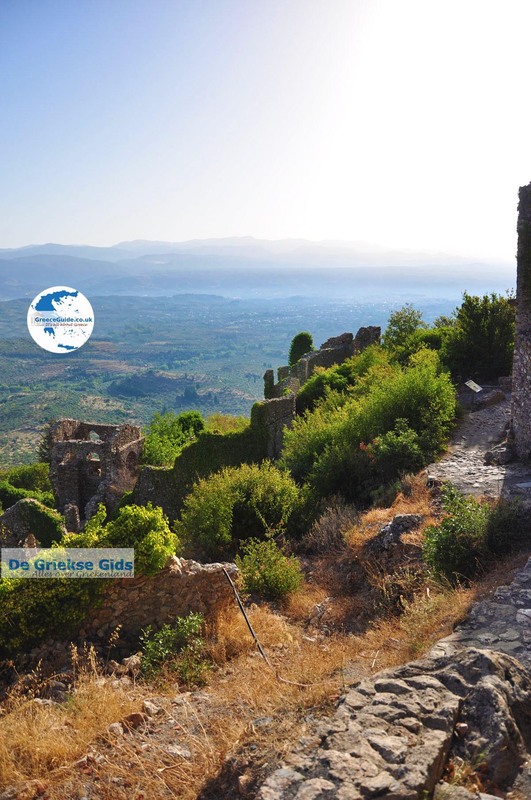 Mystras is one of those places to visit because you love the Greek culture and history. If you want to visit Mystras, the trip to Mytsras is easily combined with a visit to Monemvasia and Sparta. 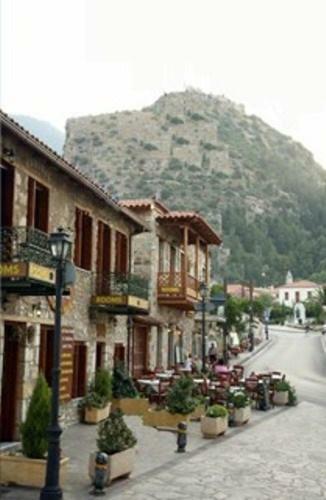 The distance from Mystras to Monemvasia is 90 kilometres, but the road is good and not crowded. 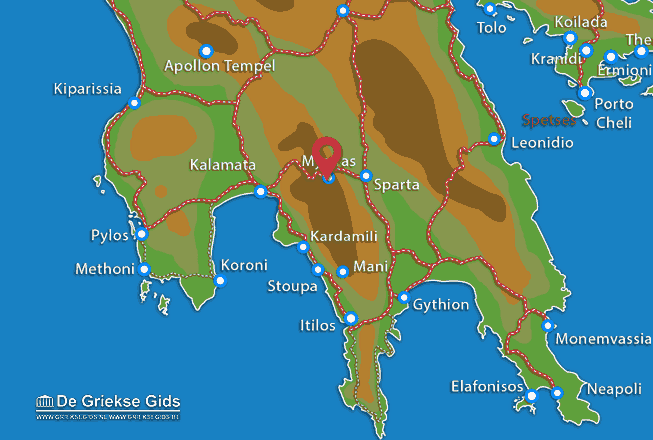 Lakonia: Where on the map is Mystras located?